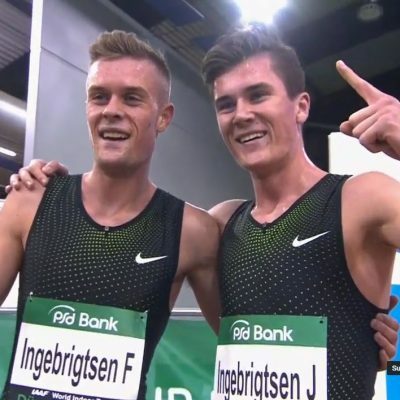 PORTLAND, Ore. — For the first time in 29 years, the U.S. will play host to the IAAF World Indoor Track and Field Championships. Portland, Ore., will be the site as the world’s top athletes head to the Pacific Northwest for the four-day meet which begins on Thursday. LetsRun.com is in Portland all week and we’ll have tons of on-site coverage for you to digest. We’ll kick things off by previewing the mid-d/distance events — here’s a look at the women’s 1500. You can find all of our Worlds coverage in our special Worlds section here. Prize Money: A total of US$2,464,000 is on offer from the IAAF. 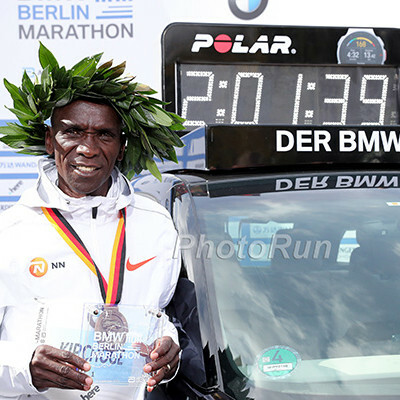 There is also a US$50,000 bonus for any athlete setting a world record during the four-day championships. 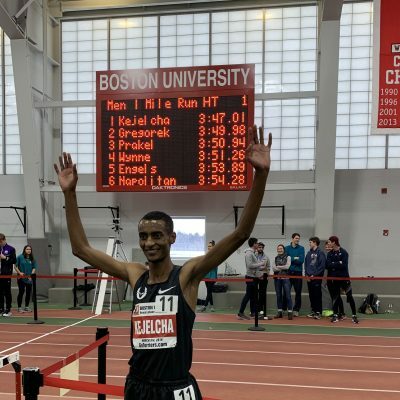 Gudaf Tsegay Ethiopia 4:01.81 4:01.81 World junior silver medallist in 2014 is running better than ever in 2016: 2nd to Dibaba and Hassan this year in her two mile/1500s. Cory McGee USA 4:06.67 4:09.97 Can she make the final? “Ethiopia can only take two girls, so I’m happy about that,” Martinez said. Martinez was spot-on about who her rivals would be, but she got the numbers wrong. There will actually be three Ethiopians competing in Portland this weekend in the women’s 1500 — four if you count Ethiopian-born Sifan Hassan of the Netherlands. 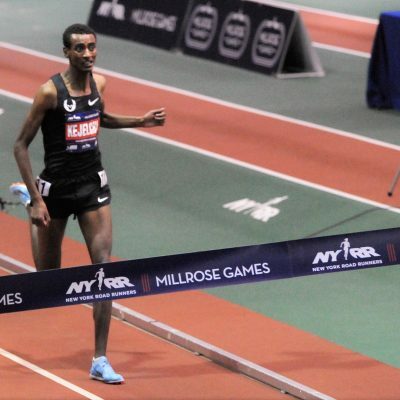 Because 2014 silver medalist Axumawit Embaye won the inaugural IAAF World Indoor Tour, Ethiopia was granted an extra spot, and as a result they’ve got a chance to sweep all three medals with young talents Dawit Seyaum (#1 time in the field) and Gudaf Tsegay (#3 time in the field) also entered. That doesn’t mean that Martinez — who has been in fine form in 2016 — can’t medal; it just makes it harder to do so. The battle for gold will likely come down to two women, Hassan and Seyaum. Hassan is coming off a career year. She won Euro Indoor gold at 1500 indoors, took bronze at Worlds outdoors and ran stunning PBs of 3:56.05 and 1:58.50. If not for Genzebe Dibaba, the former mark would have been the fastest 1500 by a woman in nine years. Hassan has raced at just two meets in 2016, but both have gone well. She won the 1500 in Glasgow on February 20, running 4:01.40 to defeat Tsegay and Embaye; a week later, she won the 800 at the Dutch Championships. Seyaum, like Hassan, is coming off a terrific 2015 season. 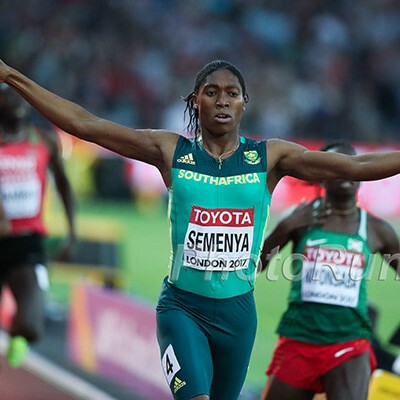 She won the Diamond League opener in Doha as well as the season-ending All-Africa Games and in between finished in fourth at Worlds, just one spot behind Hassan. 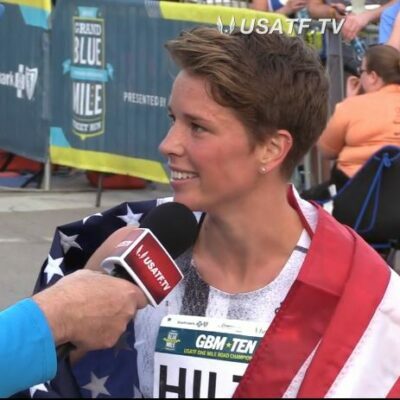 Her two races in 2016 have been outstanding as she ran 4:01.86 in Boston on February 14 and 4:00.28 in the same city two weeks later. Because we don’t have as much current data to make a judgment between Seyaum and Hassan as we would outdoors, it’s hard to predict the winner with certainty but given Hassan ran significantly faster last year, we’re giving her the nod. The one area she needs to focus on in Portland is her tactics. Hassan often likes to go out slowly before making a big move to the front, but that kind of strategy is dangerous indoors because it’s harder to pass a large group of women. If she runs a tactically smart race, she is our pick for gold. Can Martinez pick up a World Indoor medal to go with her World Outdoor bronze from 2013? Hassan and Seyaum aren’t a lock for 1-2, but the odds are in their favor. There are a large group of women battling for bronze, however, and they could even break up the favorites up front on a good day. Tsegay is the leading contender as she’s run 4:01.81 and 4:24.98 (mile) this year. 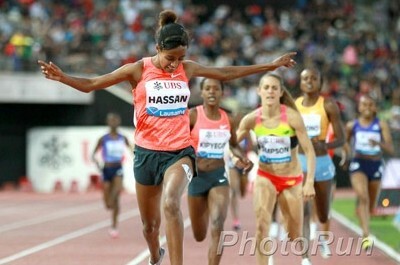 Her only defeats came to Hassan (in the 1500) and Dibaba (in the mile). 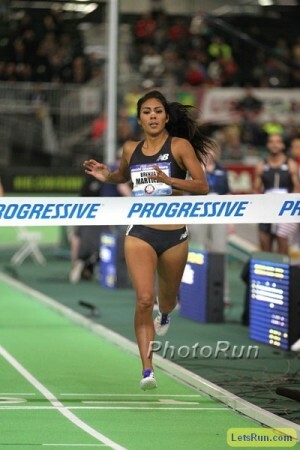 Martinez may not be able to challenge Seyaum — whom Martinez said was “playing” with her over the final laps in Boston before blowing her away — but she ran 4:04.58 in that race a month ago and has followed it up with a 2:00.14 800 (#3 in the world) and commanding win at USAs. In a slow race, Martinez has a great shot at a medal. Embaye’s medal chances are lower than Tsegay’s or Martinez’s. 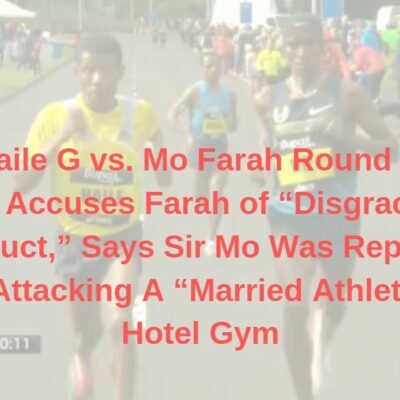 Though Embaye is the defending silver medalist, she’s been smoked by Tsegay twice this year (in Stockholm and Glasgow) and didn’t even run at Worlds last year. Is that it? Not quite. Don’t sleep on Canada’s Nicole Sifuentes. Two years ago, Sifuentes entered Worlds fresh off a 4:28.97 mile pb at Millrose and proceeded to earn a bronze medal. Sifuentes has already lowered that pb this season (she ran 4:27.93 in Boston on February 12) and added an 8:57.17 3k pb as well. Albania’s Luiza Gega is another under-the-radar talent to watch: her 4:06.89 sb is #6 in the field and came just two days after a 2:04 800 in a championship race (the Balkan Indoor Champs) that Gega won by seven seconds. Gega was fifth at World Indoors last year and has only improved since then (her 1500 pb at the time was 4:05.11; now it’s 4:02.63); a medal would be Albania’s first at a World Indoor or Outdoor Championship. Morocco’s Rababe Arafi was a World Championship finalist at 800 (4th) and 1500 (9th) last year but she’s been underwhelming this year indoors, finishing behind both Embaye and Tsegay in Stockholm and Glasgow and running just 2:06.82 for 800 in Dusseldorf on February 3. The other American, Cory McGee, is peaking at the right time as she ran her fastest 1500 of the year (4:09.97) at USAs and should be able to shave a few seconds off that in a race that’s hard from the gun. That leaves her shy of the very top women, but McGee can certainly make it to the final with a good race. LRC Prediction: 1) Hassan 2) Seyaum 3) Tsegay Martinez has been good this year, but these three have been better — it’s not hard to envision any of the three taking gold on their best day. Martinez can get a medal with a great race, and her strength should help her with two rounds in two days, but her ceiling stops short of gold. Who will win the women's 1500 at 2016 World Indoors? Will Brenda Martinez medal in the 1500 at 2016 World Indoors?